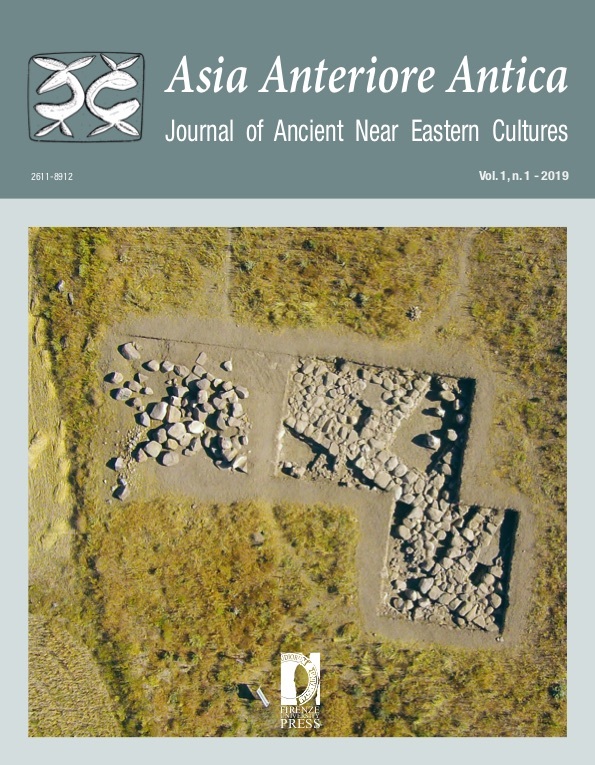 This journal is the result of collaboration between a group of scholars of varying disciplines and backgrounds who for many years, and often together, have studied different (philology, epigraphy, linguistics, art and material culture) aspects that make up the rich and complex tapestry of cultures of the Ancient Near East. AsiAnA responds to the desire for a shared forum to exchange research experiences by these scholars as well as a space open to further research and methodological and interpretative trends. The journal reflects a multidisciplinary approach, it involves even distant chronological, cultural and geographical horizons, and focuses on the analysis of multicultural processes from different perspectives. In particular, the journal will include a wide range of contributions presenting unpublished research in history, archaeology and related social sciences in a period stretching from the fourth to the end of the first millennia B.C. and to a geographical area centred upon Anatolia, the Levant, Mesopotamia and Persia. The core of the journal will consist of indepth historical, economic and cultural studies, preliminary excavation reports and materials relating to fieldwork so as to provide a useful tool and to furnish the academic world with unpublished information concerning on-going research. In line with its multidisciplinary aims, it will also include papers on the applied sciences employed in the realm of Near Eastern studies (e.g. radiocarbon dating, dendrochronology, archaeometry) together with studies on research methodologies and their potential. Alongside the section dedicated to articles and indepth research, AsiAnA will include shorter contributions on archaeological topics addressing specific questions and problems. The first issue presents the research projects conducted by the scholars who have worked to bring the journal into existence, and who form its editorial board; at the same time it hosts articles based on MA and PhD dissertations by some young scholars. The initial concept of this publication derives, however, from the will and constant dedication demonstrated by Franca Pecchioli Daddi in developing, in her own university, an area of oriental studies which would extend and complement those sectors of research on the Ancient Near East that already enjoyed a strong tradition in Florence, leading to new synergies and directions for further research.